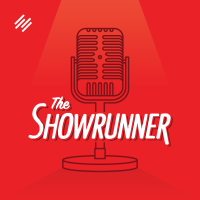 In this episode of The Showrunner, Jerod and Jonny go into depth on the essential steps necessary to book engaging interview guests for your podcast. 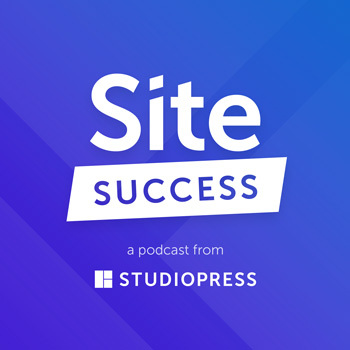 From tips to finding guests, to crafting your pitch to increase the odds of getting a yes, and all the way to tools you can use to make the process simple and effective. For this week’s podcast recommendation, Jonny brings a great show for us Showrunners. TED Radio Hour: What is Original? 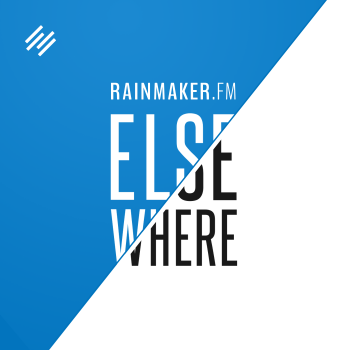 Jerod Morris: This is Rainmaker.FM, the digital marketing podcast network. It’s built on the Rainmaker Platform, which empowers you to build your own digital marketing and sales platform. Start your free 14-day trial at RainmakerPlatform.com. Welcome to another episode of The Showrunner. This is episode No. 56 of The Showrunner. 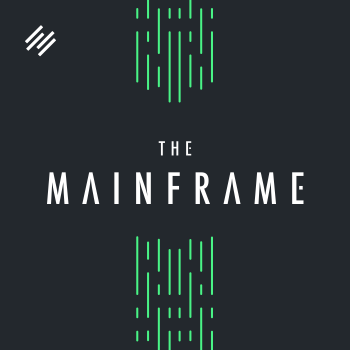 I am your host, Jerod Morris, VP of marketing for Rainmaker Digital, and I am joined today as always by my co-host, Jonny Nastor, the host of Hack the Entrepreneur and the bestselling author of the book of the same name, Hack the Entrepreneur. There’s a whole long list of other things that Jonny Nastor does that we won’t get into now because we want to get out of here before the episode drags on to 50 minutes. Mr. Nastor, how are you doing today? Are you feeling better? Jonny Nastor: I’m doing better then I was. We’re recording three days after our regular slotted time. Three days and about four hours after our regular slotted time because I came down with a terrible cold this week or flu. I’m not sure what you call it. It hit me really hard. It’s hard, obviously, as a showrunner to do that. I had to cancel, I think it was, nine interviews over the course for my show, for other people’s shows, and then with this. It’s been a tough week for me in that way. I think I’m on the mend. Jonny Nastor: I made the decision each day as it came. On Tuesday, right after we canceled … we do a 10 am, you and I, and at 12:30, I had my first interview. That’s my big interview day. I had four interviews booked that day. I waited until about 11 o’clock. I thought I could maybe take some Dayquil, and I’d feel better. Nothing was working. I felt worse and worse, and I just knew I’d do a terrible job. That’s when I canceled all the shows for that day. Every single person within half an hour of my email going out to each of them, they had canceled the interview and rescheduled it for the following week, for the following Tuesday. All I said in my email was, “Absolutely sorry for the short notice, but I am deathly sick. I cannot do it. It’ll be a terrible experience for you and my audience. Can you please reschedule for next Tuesday?” They all did, just instantly. I didn’t right at the moment, 10 am on Tuesday, just be like, “Canceling the week out.” I am a showrunner. I want to do the interviews. I want to push them ahead as far as I can. But also, it needs to be good, and I need to not feel terrible. I won’t enjoy it, and the person won’t enjoy it. I did wait until sort of the last minute, but everybody was super understanding. We all know people get sick. It’s just what happens. Yeah. We’re going to get into today how to make that easier for people and why you should do that. Jerod Morris: Let’s jump into today. Obviously, in our last episode, in episode No. 55, we talked about why teaching a mini course with your podcast is such a good idea. We got into a little bit of the how to do it and the benefits that you can get from this. We let you know that, over the next six episodes, we are actually going to show you how to do this. Basically, during the main topic sections of these shows, we are going to record the lessons for mini courses that we’re doing. We’re each designing a mini course, Jonny, you and I. Each one’s going to have three parts. The next six episodes, we’re going to record these parts here, so you can hear how we do it and see, get a peek behind the curtain a little bit at how we do this. As you and I were talking about before we started, this may not be the way that everybody does it. 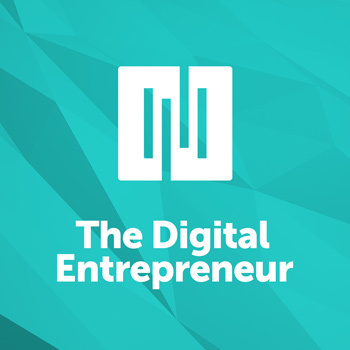 If you were going to do a mini course for Hack the Entrepreneur, you might not record those episodes as podcasts and take them directly into the mini course like we’re doing. We’re not saying you necessarily have to follow this model, but we’re doing it for you because this is part of what we do on The Showrunner. 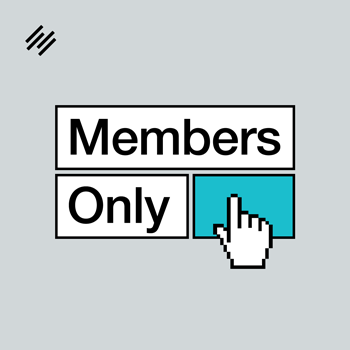 We try to really let you inside on what we’re doing, show you our work as much as possible. The format of our show actually lends itself for us to be able to do this. We’re going to start it today with the first lesson from Jonny’s mini course on How to Book, Plan, and Execute Engaging Podcast Interviews. Jonny, before we jump into it and start recording, any other thoughts for folks just about the project in general? 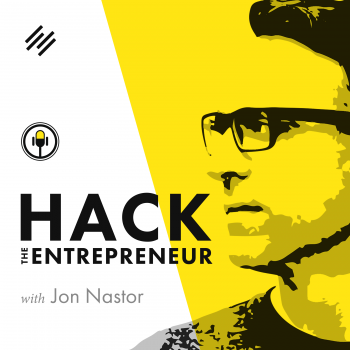 Jonny Nastor: To be clear, with Hack the Entrepreneur, I am creating a mini course. What Jerod means is, I wouldn’t do it as in I wouldn’t do it live on the air, like we are for you guys, but I would do it in the exact same way. I would just be doing it only to myself, recording it, and then editing it down and using it as a mini course. We’re just showing you the live recording of it to show you. It wouldn’t make sense for me to go from an interview, and it probably wouldn’t make sense for a lot of you out there who do an interview-based show to all of a sudden just randomly, “Episode 216 of mine is me making a mini course.” Wouldn’t make sense. Jonny Nastor: We are totally showing you how the sausage is made, as they say, to show you how we’re going to do it. Then you’re going to also see the final product to see and get your head around the simplicity that we’re going to cover in creating a mini course. It shouldn’t be overwhelming to you. It should be a very simple process. We’re following a 3-3-3 process, I believe. It makes it so it can’t blow up into being this massive project. It really gets stuck by those 3, 3, and 3, which will make sense once we get to it. Other than that, it’s going to be a lot of fun. Been getting some emails from some people and some excitement about it. People are really interested to know about how this is going to turn out. We should probably do it. Jerod Morris: Yeah. Let’s do it. Just so folks know about the preparation that we have before we start recording here is, Jon, since this is ‘your course’ because you’re taking the lead on this one, and I’m taking the lead on the other one, you put together an outline. We’ve got this outline here with your three points. Then each of those three points has three points underneath it. We haven’t really flushed this out a lot together. We’ve obviously talked about these topics a lot on different episodes of The Showrunner and putting the course together, but we don’t have a script for this or anything. You’ve got this outline. We’re going to go from this outline and record, and that’s our preparation for this. Again, how you do it, you the listener, how you do this may be a little bit different, but that’s how we’re doing this. That’s how we’re approaching this. With that said, let’s hop into it. Jonny Nastor: Yeah. The 3-3-3, I should say that just because this is how we contained the scope of it. Literally, we’re going to cover three big ideas in each course. Each of those big ideas will be broken down into three ideas below it, which will make each recording. Then each of those three ideas get three sub-points. That will take us into this one big part of this mini course will have three points with three points under it. It really contains the scope, and it makes it easy for you to map out on Trello or just on a piece of paper and know what you’re going to cover. That being said, Jerod, now we should actually jump into it. Jerod Morris: I should point out, I don’t like your use of the metaphor “how the sausage is made,” because it’s such a disgusting metaphor. Jonny Nastor: It is. I don’t know what else to say, though. Jonny Nastor: Every time somebody says that, just ugh. Have you ever seen sausage made? It’s terrible. Jerod Morris: People are now starting to think that this podcast is devolving into sausage. Jonny Nastor: Yeah, it is. Jerod Morris: With that said, now we will hop into the recording of lesson one of How to Book, Plan, and Execute Engaging Podcast Interviews. Welcome to lesson one of our mini course–how to book, plan, and execute engaging podcast interviews. Jonny, let’s jump into this. Obviously, you are taking the lead on this mini course about creating engaging podcast interviews because that’s what you’ve been doing for the last year plus at Hack the Entrepreneur. I think we’re all excited to dive into your brain and learn from your experience on building great interviews. Let’s hop into the first topic. Jonny Nastor: Excellent. This is the first segment of How to Book, Plan, and Execute Engaging Podcast Interviews. 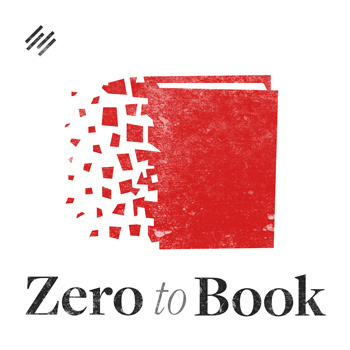 For this lesson, we are going to cover how to book. This is really the mindset going into it and then also the how-to and a few things to really avoid when you are looking to book engaging podcast interviews. Jonny Nastor: The first part of booking good interviews for your podcast is really just get rolling. Not in everything. You just have to do it. I mean as in try and start small. The first one or two guests that you ever have to book are going to be the hardest, by far. It’s like when you end up on somebody else’s show, or it’s when you seem to get your first email subscriber. Jonny Nastor: All of the first ones are always really, really hard. Getting your first interviews, mostly because we don’t seem to have the confidence, it’s really scary to send out those first emails to get somebody onto your show. Once you get somebody to say yes, you really do get a good confidence behind it. Like most things that we try and teach you to do, start small. Obviously, don’t try and book the biggest expert in your market. Start small. Sometimes you can even start with people that you’ve already dealt with in your business or in your market, and you have a connection to them. There’s a warm network between the two of you. Those are the best people to start with because they’re most likely to say yes, and they’re most likely to even join you on your show when you might not even be 100 percent comfortable doing the interview already. Jonny Nastor: The next part of just getting rolling is to find guests that actually do interviews. The idea of getting the small win and using that momentum to move yourself forward is really valuable. Don’t set yourself up to be let down. Meaning, don’t ask people to join your show that really don’t have a history of being on other shows. Find people who are really, really into being interviewed. They’re going to be an easier win, and they’re going to be much more likely to want to be on a show. Plus, you can listen to them possibly on other shows. Even if maybe they haven’t been on a podcast but they might be on a video, you can find them on YouTube being interviewed, or be on television, or on radio, or something. They’re at least open to it. Not everybody is open to that aspect of personal branding or else building their business or their platform through being interviewed. Lots and lots of people are, but don’t try and convince somebody that being on an interview is a good thing because it’s a hard way to really get those quick wins. Trust me, you really want those wins to push you through and get you going. Jonny Nastor: The last part of just getting rolling is timing. To me, timing in booking an interview is everything. I didn’t realize this nearly as much when I first started with Hack the Entrepreneur. I learned it a lot recently. People, as you’ll know when you listen to a lot of podcasts or TV shows or anywhere, that when somebody has a book coming out, or a new product, or whatever it happens to be–usually, it’s a book or a TV show or a movie–those people, your experts just cover and saturate your market in as many places as they can. Meaning that they are very, very much more likely to want to say yes to you. My example of this is Brian Tracy. I’m in the entrepreneurship space. Brian Tracy is a 70-something-year-old man. He’s one of the most renowned people in my space–for interviews, for speaking, for starting businesses. I’ve asked so many times. I’ve sent emails to his website, and no recognition at all that it’s even been sent or anything. Fine and great. We are all selfish with our time, and we’re all told to be selfish. We know to become these experts that we want on our shows, that we have to value our time. We can do lots of promotion when we have something somewhat self-serving. It sounds bad like that, but it’s absolutely true. You can go on places–one way I’ve done it is with Barnes and Noble–you can go and look at the books coming out in the next year. You can look literally by any … by health, by fitness, by sports, by business. It doesn’t matter what the market is, you can see the books coming out and when they’re coming out. Then you can track down their publishers, and you can reach out to those publishers and PR agents. If you pick out guest X and you want guest X on and you know that, in four months, there’s a book coming out that she’s putting out, you can reach out and get her. She’s way more likely to say yes to you when she has that to promote. Again, get this to get you rolling and get it moving ahead quickly. Jerod Morris: This is such great advice, Jonny. It’s very similar advice that we give to people about podcasting in general, which is that you have to just get rolling. You have to start. Just like those first couple of podcast episodes are going to be the hardest, your first two interviews are going to be the hardest ones. When you do get these quick, easy wins like Jonny’s talking about, you get more comfortable. I know when I was first starting to do interviews, I was so nervous. I still get nervous for some interviews, depending on who the guest is. I’ve obviously become more confident, become more comfortable because I’ve done them more. There’s really no way to get passed that other than to just get the experience, to get going, to get your first few nos out of the way, because some people are going to tell you no to interviews. Just get those out of the way so that you can get to your yeses. Get rolling. Then you start to build momentum. As you put interviews out, as your show starts to grow, now it’s even easier for you to get yeses. The momentum continues to build, but it can’t build if you don’t get started. Great step one, Jon, to just get rolling. Jerod Morris: Let’s talk a little bit now about, okay … so I know that I want to go out and I want to ask people to be on my show. But especially, when I’m early on and I don’t have 100,000 downloads that I can point to, and I don’t have a big show that I can point people to, how do I craft my pitch properly to get people to want to be on my show? Even when I do have some of those big numbers and more social proof, how do I properly craft a pitch so that people will come on my show? Jonny Nastor: It’s a great question, Jerod. The second step to this how to book is crafting this pitch. The very first aspect of that is to do your research. Don’t pretend that you know who this person is and why they will benefit from coming on your show. They’re going to benefit by having access to your audience. Again, I don’t care if your audience is five subscribers, 5,000 subscribers, or 50,000 subscribers. If you know your audience well enough and you can craft your pitch so that it sells to this person, to her, when her book is coming out, why your audience is perfect for that book, then she will want to come on. That’s going to take you doing research and finding out what it is, who her audience is, who she’s directing this book at or this product or just her brand in general. Make sure that it’s aligned. If it is, make sure you put that into the pitch. Don’t make somebody have to make the connection like, “Why is this going to be good for me? I don’t care that it’s going to help you. I know that it’s going to help you, me coming on your show. But why is it going to help me?” If you can make that connection for somebody really simply in one sentence or two sentences, people are a lot more likely to say yes. You have to always make it easy for them to say yes. Jonny Nastor: The second part of this is to add an interview format page to your website. I didn’t do this until just after episode 80 or so of my show. It’s helped so much in the fact that it is 100 percent cut down on questions or any sort of back and forth while booking this interview. I don’t not want the back and forth. You don’t not want the back and forth via email, just because of my inbox, you don’t want it because every sort of barrier. Every time there’s a question where the person doesn’t get it answered in your very simple short pitch, it just puts up another barrier to them ever saying yes. People are busy, and people have a lot to do. You need to make it as friction free as possible. If somebody does have a question and they see my link that you can check out, “Learn about the interview right here,” they go to it. It tells them, “Here are the questions you’re going to be asked. We’re looking for stories. We’re looking for this. Here’s what we’re not looking for,” and that’s it. Everything is answered. Then they can literally go back to that original pitch email, and then they get to book it, which I will get into in the next section. Do your research. Then add this interview page. Not only is it going to help your guests, actually. This really helped me. It’s not like an elevator pitch so much for your show, but it really made me put into words, it really made me think about, go for long walks and think about, “When I get a response from my audience, what is it always that they’re responding to? 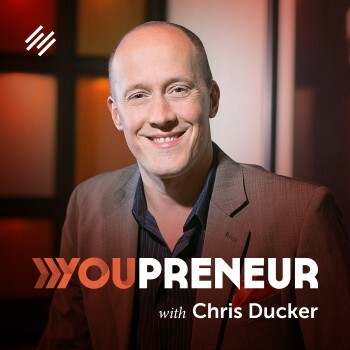 What is it that’s really helping my audience the most make that transformation that I’m trying to help them make from not being an entrepreneur to being an entrepreneur?” I needed to put that into words for my guests. It makes my guests really confident. Now, once they book and they come on, we don’t even need to do a pre-warmup. They’re just like, “No, man. I’m totally ready to go. I read it. I know what we need.” It’s excellent. People know how to answer. They’ll provide the most benefit to my audience, which then, in turn, provides the most value back to my guests by helping my audience take that journey. Jonny Nastor: The last part of crafting your pitch is to really make the email super, super short. 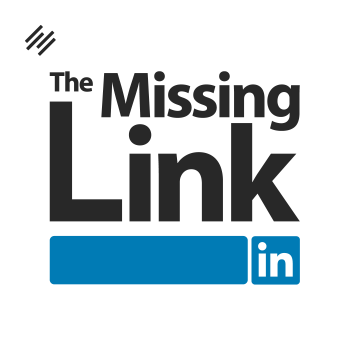 I will actually link to an email template that I use in this for you. It’s really simple as in the fact where you start personal. This is where the research comes in. It shows that you’ve actually looked into this person, that you truly do want them, and why they will be good on your show. Then, a quick one sentence about your show. Sell it. What is it about? What is something good that’s happened from it, or what is a market that you serve? Some way to describe your show. It might not be as easy when you’re just getting started. I get to say how many people I have listening to my show every month, and that really helps sell the show. I didn’t always have that. If you followed our launch sequence, you’ve ended up on New and Noteworthy at some point. You can say, “a New and Noteworthy show on iTunes.” That sounds great. Everybody within podcasting is like, “Well, lots of people get on New and Noteworthy.” But your guests probably just looks at that and says, “Wow, that’s really cool. I’m going to go on this show.” Do that quick about your show. Then, I like to include the few potential questions along with the link to my interview format page and then the scheduling link. After the scheduling link, this leads us into the third main point of how to book. 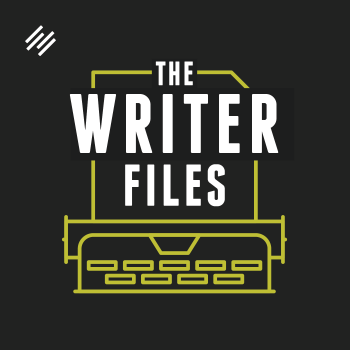 Jerod Morris: I do want to jump in real quick, Jon, and just say it’s so important here when we talk about crafting your pitch, remember, this is moment when you are selling your show and selling the opportunity to be on your show to someone else. I don’t mean that you have to put the hard sell on them. But just remember that, when you’re selling something to anybody, you want to stress the benefits of that thing. Again, you want to do that with your show. You do it in subtle ways, and you don’t brow beat people with it. You let them know what would be the benefit of that person being on your show. Make sure that that’s clear. Do your research so that you know what would be important to that person. Then be clear about what the expectations are. I know, probably, you’ll get into some of this in scheduling simplicity, too. You got into a little bit there with the interview format page. I’ve done a lot of interviews, so I’ve been on both sides of this. I know you have, too. Interviews I have done where the expectations were really clear and I knew exactly what to expect, I always went into those as the interviewee much more confident and much more prepared than when I didn’t really know what was going on. Part of that, of course, is on me as the interviewee to try and look at the show I’m going to be on and be prepared, but we don’t always have that time. Whatever you can give someone succinctly to explain that and get them as prepared as possible is really going to help you have a better experience interviewing them, which is going to translate to a better experience for your audience. Jonny Nastor: Exactly. Very well said about keeping so that it’s the benefit to your guests, not that you have to brow beat them. Don’t focus on bragging about your show. Once sentence about your show, but focus on why your audience will benefit from what your guests can provide. That’s what people want. They really do. They want to help an audience. If that’s your audience, they need to know that so that they know what they’re getting into and why it will help them and their business or whatever it is they’re trying to promote. Jonny Nastor: That leads us then to scheduling simplicity. 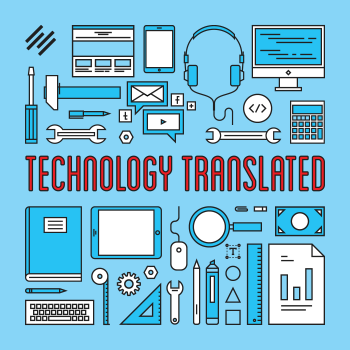 As you know probably from listening to 56 episodes of this, sometimes I get kind of frustrated with people’s use of apps in any way to distract them from the main cause of running a show and what you should really be doing. This is the exact opposite. Jonny Nastor: When I see somebody not using scheduling software, it frustrates the heck out of me to the point now where I actually have scheduling software set up twice. When somebody emails me and asks me to be on their show, and then they say, “Can you send me some available times?” I do not want to do that. By the time I send them three available times, and then they get back to me in a couple of days, then those times probably aren’t all available anymore. And then I have to tell them. It’s frustrating. I’ve actually created another scheduling link where I just reply now, “Yeah, I’d love to be on your show. Can you schedule a time here?” I actually send them my own scheduling software hoping that they’ll get that. Now, I’ll just actually send them to this course. This will help them. Scheduling software, there’s a ton of it out there. There’s Calendly, I use MeetMe, which is ScheduleOnce.com, and then it gives you a MeetMe/MyName. You literally just click on it. It syncs with my Google Calendar. I can choose what times I ever want to be available or what specific times I want to be available. As things get booked, it just removes those times. You can leave as much time as you want in between different appointments, all those kinds of things. It removes the friction. As I said, it’s frustrating when somebody’s busy, you’re busy, and you want them to send you times. I don’t want to go to my Google Calendar and try and figure out times that might work for you. I don’t know what time zone you’re in. You need to use scheduling software. Calendly, I believe, is 100 percent free. ScheduleOnce isn’t. I believe I pay $5 a month for it. If you look up scheduling software, there’s even just add-ons to your Gmail account now that are completely free. There’s very, very simple ways to do this, but please do not try and book somebody onto your show without sending them a link that they can just click and chose whatever time’s available to you and to them at the same time. Jonny Nastor: Also, with reducing friction and making it easy for them to say yes, please make as much time available for them when you’re getting started. Meaning, make it on your clock if necessary. For my first 50 episodes, I was open, I believe it was Monday to Saturday. I opened up all day, and then in the email at the P.S. was even, “If there’s a time on here that isn’t available for you and you need 2 AM on a Sunday night, let me know, and I’ll make it work for you because I really, really want you to come on my show.” Two people actually took me up on that and I ended up doing crazy hours, but it was worth it. I needed to. I don’t have to do that anymore. Now, I literally do Tuesdays and sometimes on Wednesdays, but even then, I don’t actually always leave it open. People will just cram right into Tuesday for me because people want to be on my show more than I need them to be on my show, which is flipped from when I started. But when I started, I had to make as much time available because you just don’t want somebody to go and be like, “Yeah, okay. I’ll give them a shot. I’ll be on their show.” Then go look and be like, “Wow. They have a time in three weeks for half an hour.” They’re just going to leave. “Oh, I just got to go do something else.” It’s what happens. Try and make as much time. You might not have all days available like I did, but you could have a few evenings available or a weekend. Just try and make that time available to your guests to make it easy for them to say yes and find a time that is convenient for them. Jonny Nastor: The final part of scheduling simplicity is set up your scheduling software, and then send an immediate confirmation. You can set it up so that immediately after they book, it just confirms them and adds it to their whatever calendar system they use, usually Google Calendar or Apple. Then set it to send one reminder email 24 hours before. In my reminder email, it sends them back to my format page for the interview format, so they can check that over again if they want to get a feel for it. Other than that, it’s just like, “I’ll see you tomorrow on Skype,” and it has my Skype name again, so there’s no confusion. The reason why I’m saying this is because, again, being booked onto other people’s shows sometimes, I’ve been absolutely flooded with reminder emails all the way leading up to it where I’ve got as many as seven emails in four days before I’m supposed to be on somebody’s show. It’s the most frustrating thing. It shows that you’ve now stopped thinking about me and my priorities. Remember, we need to stay focused on our guest, not on ourselves. Our guests are smart. Our scheduling software is really smart. It is on their calendar, and they’ve set their calendar however they set their calendar to remind them via email, via pop-ups, or via just a text message on their phone. We can set up our own calendar systems how we want. Don’t impose yours on them because it gets really frustrating. I’ve been on calls where it’s like, “Do you have anything you’d want to change about the way I book this?” “Yeah. I would stop sending an email every single day and three the day of. It’s really kind of frustrating actually.” Don’t do that. You don’t need to impose. Always think of the guest and from their perspective. Stay on that. 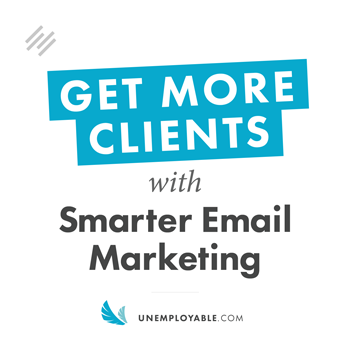 Make it easy for them and go for the easy wins, and you will book very engaging interviews. Jerod Morris: Yes, you will. What you said there about making as much time available when you’re getting started especially is so important. It doesn’t mean that you are going to be doing interviews from 8 to 5 on Saturday and 8 to 5 on Sunday. It does mean that, especially early on, you may have to go the extra mile, and you may have to do something a little but inconvenient. Part of being a showrunner and creating a great experience for an audience is taking that burden on yourself sometimes to go the extra mile and maybe do something that’s not always that convenient for you because it’s going to be good for a guest and for an audience where there’s a good match. You need to bring that to them. You’ve got to be the conduit however you can be. That’s just what it’s going to take. Sometimes as a showrunner, you have to make some little sacrifices like that. Jonny, I think because you were willing to do that, you were willing to do what maybe other people might not have been willing to do, now your podcast is succeeding in ways that other podcasts aren’t. I think your example there is a great example why. It’s a great lesson for everybody who is listening to this right now. Jonny Nastor: Right. We weren’t trying to explain the easy way to book. We’re just trying to tell you the right way to book engaging interviews if you want to stand out as a showrunner. Follow those three steps and you will be on your way. Jerod Morris: You will. Real quick, just in review here for lesson one of How to Book, Plan, and Execute Engaging Podcast Interviews. Step one is to just get rolling. Understand that the first one or two are going to be the hardest. You want to find guests that do interviews so that you can go for the easy, quick win. Then, remember that timing is everything. Target people who have book or product launches coming out because they’re going to have a real reason to want to be interviewed. Step two is to craft your pitch. This means doing your research, adding an interview format page to your website, and then starting out personal. Making sure that you let them understand quickly what the benefits are of coming on your show, letting them know maybe a few potential questions, and then giving them a scheduling link, which sends us into step number three, which is scheduling simplicity. Make it simple. Always use scheduling software, make as much time available when you get started. Make it very easy to say yes, and then send an immediate confirmation and one, just one, reminder 24 hours before. If you send more than one, somewhere, some way, some how, Jonny will know about it, and he will think bad thoughts about you. Don’t let that happen. Jerod Morris: Yeah. Now we’ll talk to everybody on lesson two of How to Book, Plan, Execute Engaging Podcast Interviews where we talk about how to plan engaging podcast interviews. That’ll be a good one. Jerod Morris: All right, there we go. How do you think that went? Our first live recording of a mini course lesson? Jonny Nastor: In my Dayquil sort of stupor, I think it went quite well. I love the 3-3-3 because there were so many times there I wanted to go off on a tangent, but it’s like, “No, I got to go back to this.” I think that’s what makes it doable. That’s why I really like it. Otherwise, as you know, every time you try and put together a simple outline for something, it grows into this giant mind map of ideas. Then it’s all of a sudden like you’re rebuilding the ark or something rather than just, “No, we’re just trying to teach people literally how to book an interview.” It’s really good. I like that. Then I like how you do the wrap-up at the end. It feels like we have a flow. It’s good. Jerod Morris: I think we do. A couple of critiques I have of us just having listened to this. Number one, we had that awkward moment there in the beginning after I introduced it and then you got into it. We never really had planned on, “Okay, how am I going to jump back in? Are you going to do the whole thing?” That’s why I made that note on our note sheet that I’ll hop in after section one, just so you knew. That just became our rhythm. Maybe that would have been good for us just to break out for a minute or two before we started. I think most people listening probably will be doing this on their own, so they wouldn’t have to worry about that, but probably just something to think about in the future. Then there was one time where you said, “We’ve done 56 episodes of these.” That was one thing we probably wanted to get away from, since this is going to be a lesson in a course, is not making it time specific. We can think about that for the future. Then doing the wrap-up at the end, no matter who does it, I think it’s interesting since there’s two of us, for the person who’s not leading it to do the wrap-up. I don’t know why. Just seems like a good little contrast at the end there. Jonny Nastor: Yeah. Right when you were introducing it at the very beginning, I was almost thinking of going through all the points just in point form like you did at the end, at the beginning, to give people to know what’s coming. But then it worked really well with you doing it at the end. That whole idea of tell people what you’re going to tell them, tell them, then tell them what you told them does really help people understand and comprehend it better. It might not be terrible to do. Let’s do that in the future. Definitely keeping it at the end really helps. Like, “What did Jon just talk about that whole time? Oh, here it is. Oh, yeah, yeah, yeah.” Totally. Jerod Morris: Let’s do it at the beginning, too, and when we put this lesson into the mini course, we should probably record a quick bit doing that, just add it in, and edit it in. Jonny Nastor: Cool. We could totally do that. When Jerod said that, how we just added a note, because there’s two of us, we work in Google Docs. Literally, we can type to each other live and just see it. He just added a note in there as I was reading off the post. He just said, “I’ll hop in after the first section.” Then I didn’t have to wait after each subsection in that. It was a bit awkward. I wanted to leave just a bit of space to see if he was going to jump in, and he didn’t. I think you sensed that, so you wrote that for me. Jonny Nastor: We’ve done this a few times. Jerod Morris: Yeah, exactly. You don’t want that awkward moment. Um, Jerod? Jerod? Jerod?! Say something. Take a breath. All right. Hey, you have a podcast recommendation. Sound the trumpets. This is exciting. Jerod Morris: That was actually pretty good. That was good. Let’s get into podcast recommendations, right now. Jerod Morris: You can bat leadoff, Mr. Nastor. I have one, too, but everybody is going to be dying to hear what your next podcast recommendation is. Jonny Nastor: Mine’s from a fellow Canadian. I guess I like his accent. His name is Justin Jackson. He’s from the west side of Canada, in the mountains, the British Colombia Rocky Mountains. He is a self-proclaimed maker. He makes things. He makes small things. He makes big things. He makes apps. He makes podcasts. He makes books. He makes a lot of weird websites and things. He’s just an all-around cool kind of guy. I don’t know him personally. He has a new show out called MegaMaker–all one word, MegaMaker. It’s kind of cool. He’s got this challenge for himself where he says, “Justin is trying to make 100 things in 2016. Will he do it?” Then he also tries to encourage you to get motivated to make your own stuff. He goes over the idea of making small little things and just putting them out to the world. It’s really cool. He’s got this band, this metal band–they sound like they’re from the 1980s, but they’re actually around right now. They’re from somewhere else in Canada–that he’s really into. They’re his intro music and stuff. It’s just fun. He’s really good with a computer, obviously, because he’s a coder and stuff. He cuts in quotes from people. He plays around. He really experiments with the style of his show. He’s easy to listen to and fun. I’d been sick all week, so I’d been consuming a lot of stuff rather than producing it because this is the first thing I’ve produced all week. So I’ve been listening to it. He actually uses something we’ve talked about, I believe, before called Simplecast.FM. 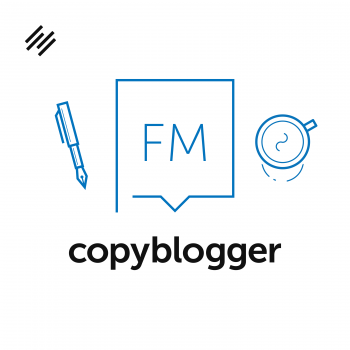 He publishes right through … it’s a podcast player, so you can embed on your page. It’s also the hosting. It’s a neat thing. It’s the first time I’ve ever actually listened to his show on it and then on his site from it. I will link to it in the show notes for it. It is MegaMaker, and his name is Justin Jackson. Jerod Morris: MegaMaker. That’s fun to say. I have a duel podcast recommendation. I listened to these two shows within about 24 hours of each other. They both dealt with similar topics, so I felt it would be appropriate to recommend them both. There is an episode of Ted Radio Hour called What Is Original?–which is very interesting. 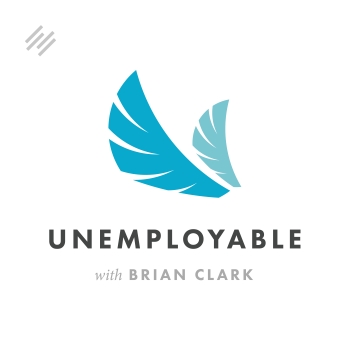 Then there’s an episode of Unemployable with Brian Clark where he interviews Austin Kleon, who wrote the book Steal Like an Artist. The episode is called Steal Like an Entrepreneur. It’s all about what is originality, and when is it okay to ‘steal’ from others? How much of originality is really us taking all of our influences? All of our influences are a ball of clay, and then we shape them. That becomes our originality. It’s a very interesting discussion about that topic. Also, inspiring and will probably make you think about your own creativity. Some people feel like they’re creative. Some people don’t feel like they’re creative. Really, we can all be creative. These episodes give you a good perspective on that. I recommend them both. We’ll have links to all of this in the show notes, which you can find at Showrunner.FM. 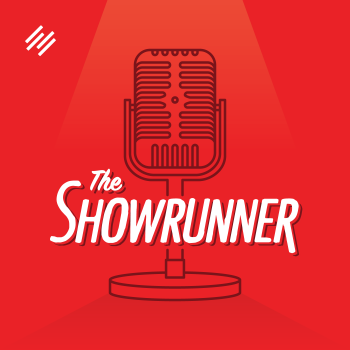 Jerod Morris: There’s something else you can find at Showrunner.FM, which is the ability to join The Showrunner, which allows you to get our weekly newsletter. This newsletter, which we’ve been really having fun doing, it includes announcements to free public events, a link and description to that week’s episode, as well as a ‘we highly recommend’ section, which we highly recommend and that you won’t want to miss. Jonny Nastor: Totally recommend it. Sorry. Jerod Morris: That’s the awkward moment that can happen. Jonny Nastor: It’s not awkward. Man, that wasn’t awkward at all, dude. We could be awkward if we want. That wasn’t awkward. That was just me removing a cough candy from my mouth before I was talking because my throat was getting sore from talking so much. Jerod Morris: I guess that’s our sign that we should close this episode up. Jonny Nastor: Yeah, we should. Totally. That was a good call to action. Three great podcast recommendations. Make sure to check it out. When you’re done with all three of those, head over to Rainmaker.FM and listen to a show you haven’t listened to before. Check out the new site. A lot of shows seem to come. Sometimes I go back, and I’m like, “Oh, wow. I haven’t even heard of this show.” I listen to it and it’s like, “Man, it’s so good.” There’s a ton. We should probably start recommending one of those shows each time, too. I guess you did. You did Unemployable. Jonny Nastor: Yeah. All right. Jerod Morris: All right, everybody. Jonny Nastor: I’m in a daze. Jerod Morris: We’re going to let Jonny go rest. We will talk to you all next week on another brand new episode of The Showrunner. Jonny Nastor: Take care, everybody. 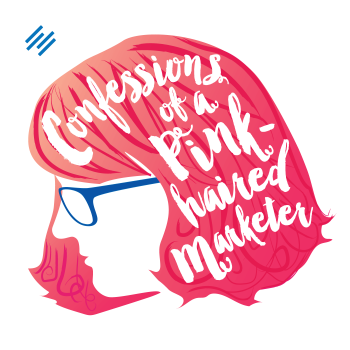 It always seems that just when I have questions about podcasting or course creation, you publish a podcast that answers my exact questions. For the past month or so I have been slowly working toward creating a mini course AND booking some interviews for my podcast …. and what do you guys do? 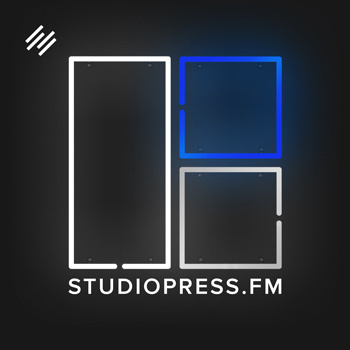 … you publish a podcast that answers BOTH questions! Thanks Jerod and Jonny for putting out such a remarkable podcast.